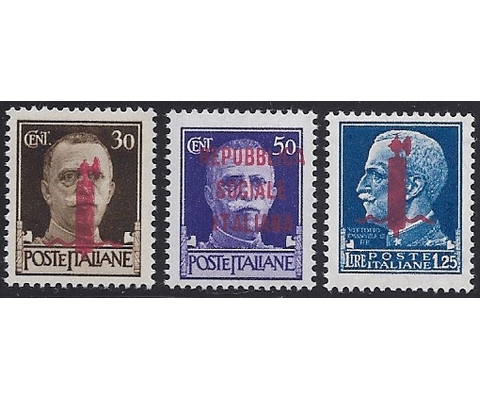 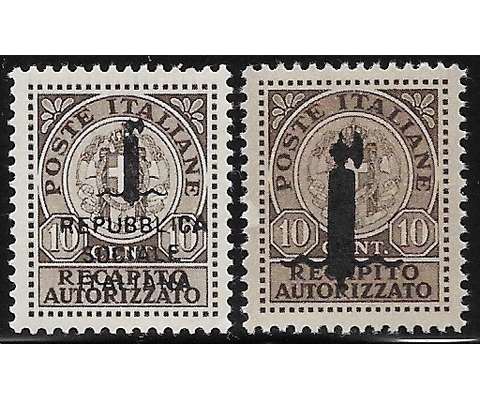 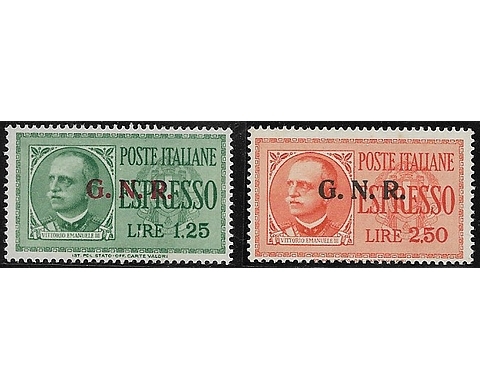 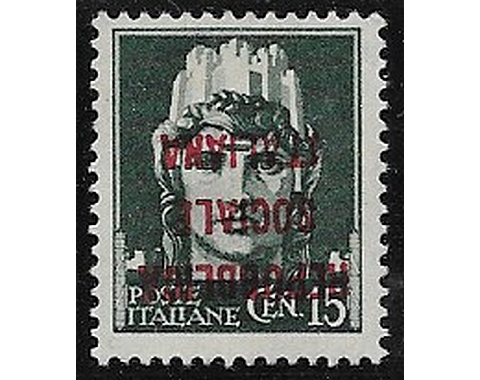 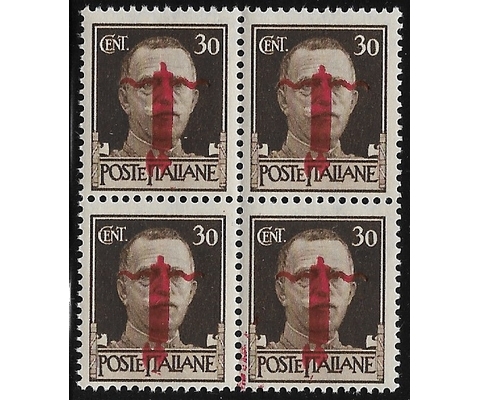 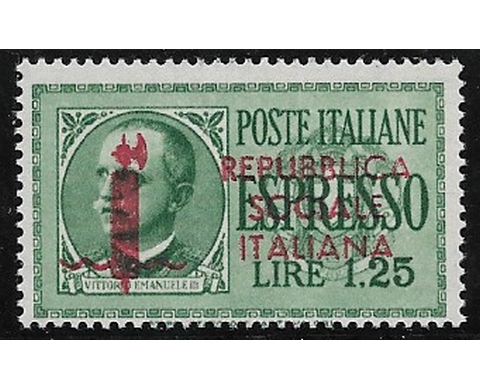 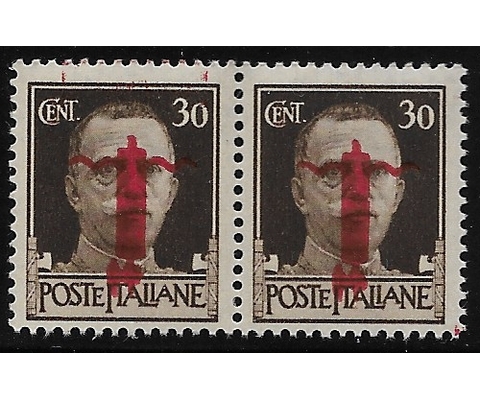 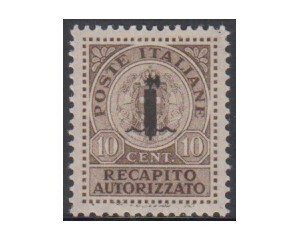 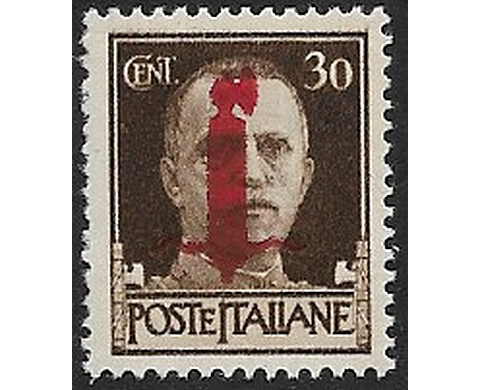 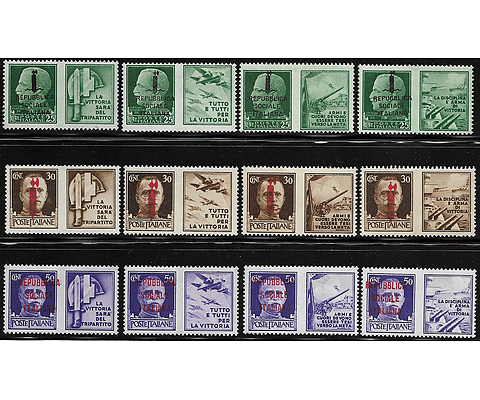 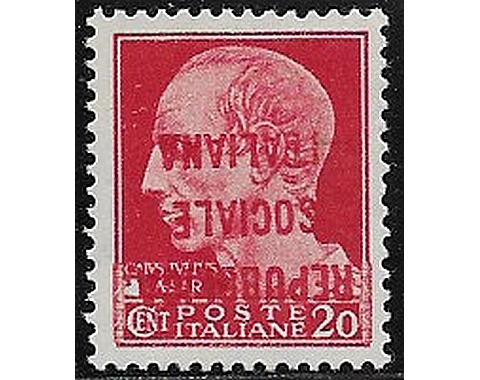 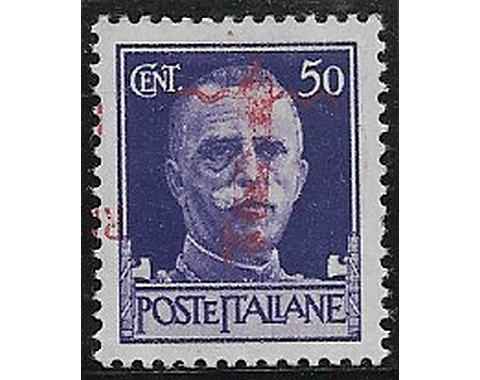 :: Home - Products - Stamps - Italian Area - R.S.I.-G.N.R. 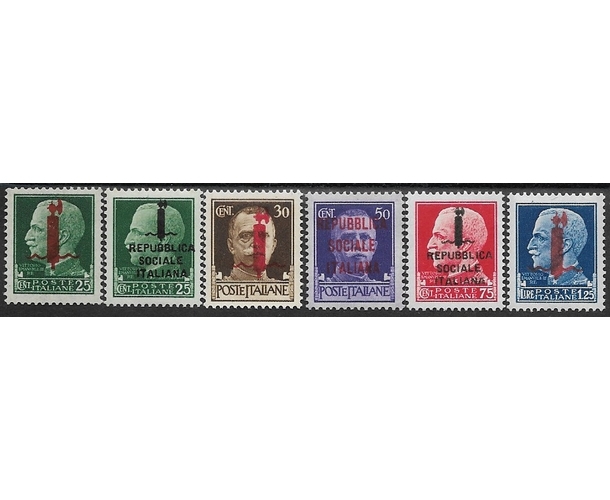 Military Franchise 1KG reddish brown - 1v us. 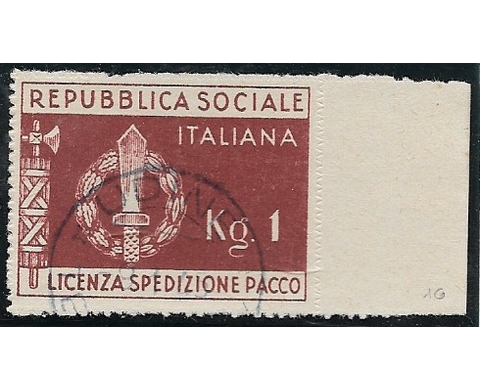 R.S.I. 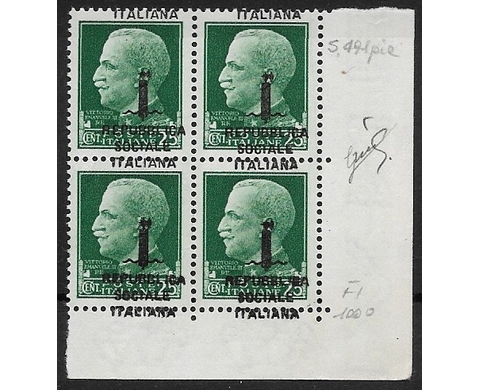 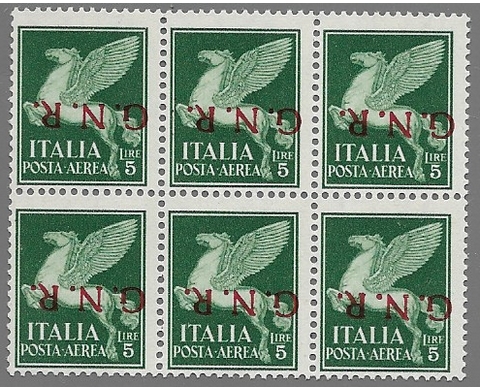 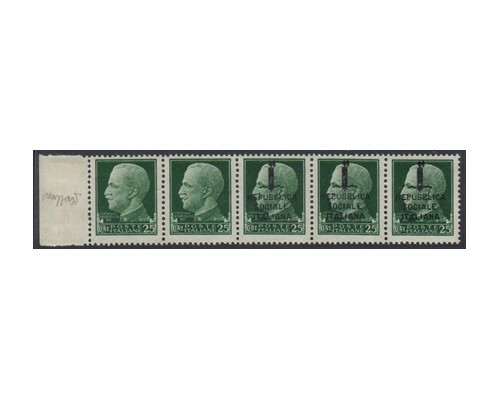 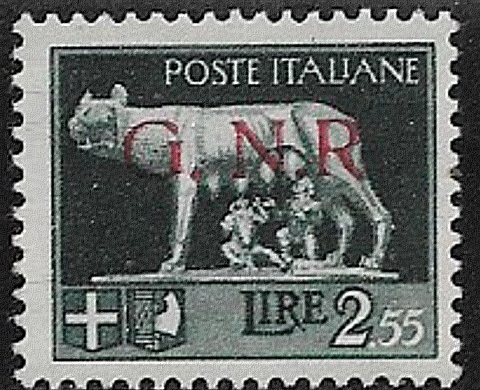 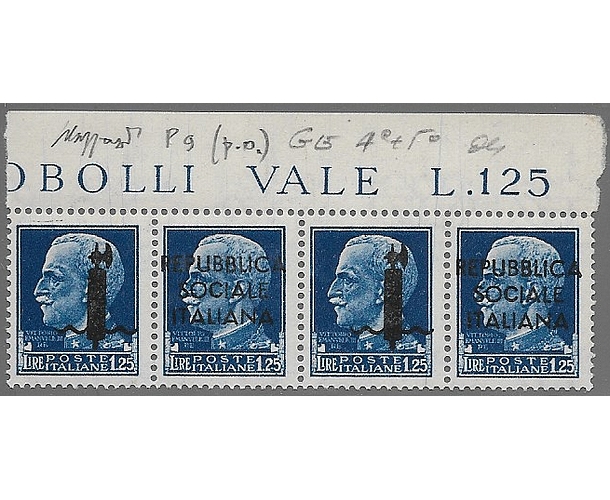 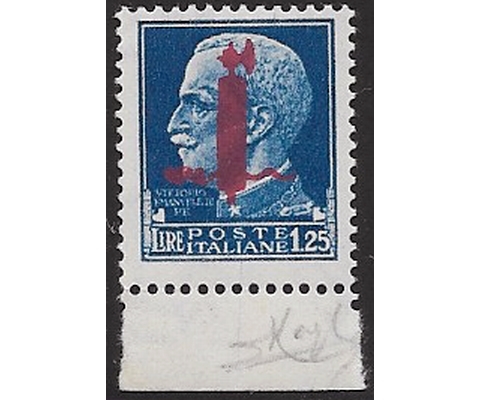 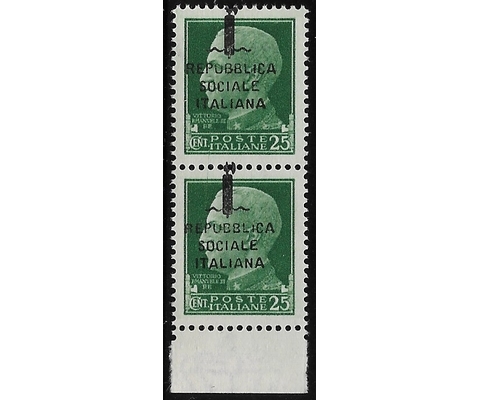 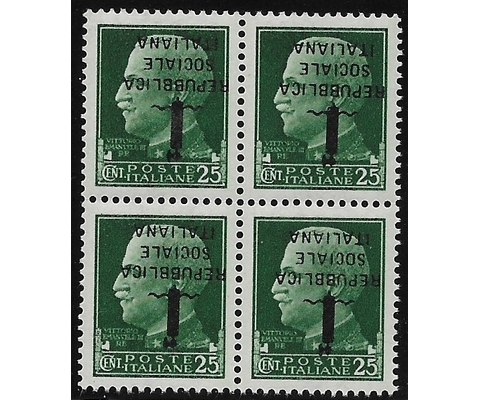 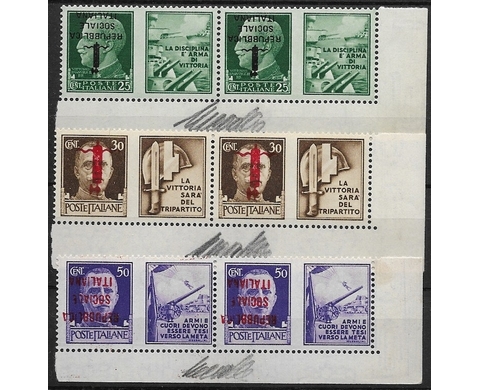 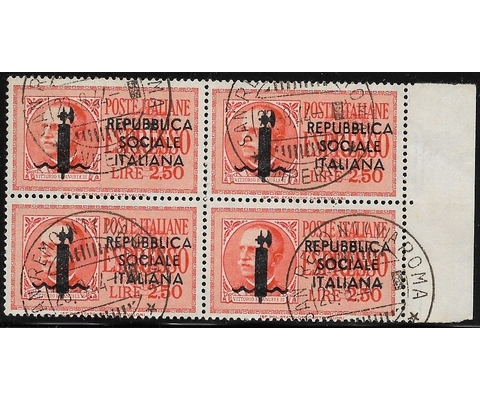 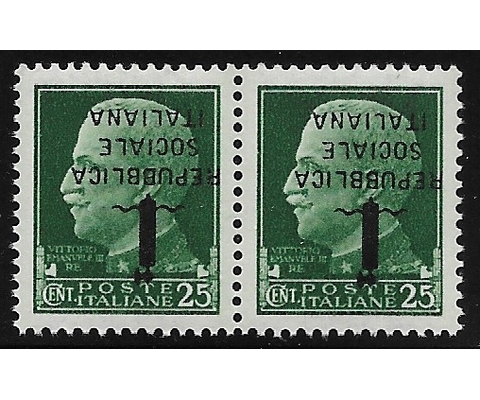 L.2‚50 Rome issue - block of 4v us.